Data visualization best practices, practical how-tos in multiple software programs, and tips from 10+ guest experts. The vast majority of lessons are software-agnostic. In other words, these universal best practices can be (and should be!) applied to any software program. I’ve also included how-to tutorials, like how to find your custom color codes with an eyedropper, how to decipher your fonts with a free website, and tips for getting started with Excel, Tableau, and R.
Chris Lysy: Chris Lysy is a professional data designer and illustrator constantly exploring the overlap between contemporary design practice, digital communications, and data science. You will find examples of Chris’ work and his cartoons at freshspectrum.com. David Keyes, Ph.D.:Combining skills in research, data visualization, website design, and digital reporting, David Keyes is a consultant who helps researchers creatively communicate their work. David focuses especially on helping researchers embrace the power of the internet to communicate with online, interactive reporting. When not developing creative communication strategies for researchers, David is also one half of the team behind R for Eval, which provides workshops, online courses, and custom trainings for evaluators interested in learning R. A recovering academic, David holds a Ph.D. in anthropology from the University of California, San Diego. He is online at dgkeyes.com and on Twitter @dgkeyes. Emma Perk:Emma Perk is the co-principal investigator for EvaluATE, the evaluation support center for the National Science Foundation’s Advanced Technological Education program and co-creator of Creating One-Page Reports. Her interests lie in improving evaluation communication to increase use through data visualization, data storytelling, and document design. She serves as EvaluATE’s co-principal investigator, project manager, and outreach coordinator. She also leads the evaluation for two Upward Bound grants located in Southwest Michigan. 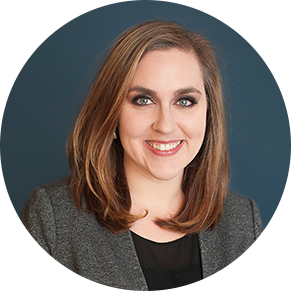 Deven Wisner: Deven Wisner is a capacity builder for data-driven decision making across a variety of disciplines, including regulatory consulting, human capital, finance, and marketing. In addition to overseeing Human Capital & Business Analytics for two organizations and acting as the Principal consultant for Wisner Analytics, Deven teaches at the University of Arizona, South. At the root of all his work is a passion for empowering individuals to utilize evidence-based decision making as an effective method for achieving their goals and objectives. This year-long course begins on October 1, 2018 and continues until September 30, 2019. I’ll email you (nearly) every week and let you know that a new batch of lessons is available. My favorite aspect of this course is that it’s taught by a team of FOURTEEN instructors. Ann K. Emery teaches the majority of lessons, but you’ll also learn from authors, faculty, graphic designers, and data analyst extraordinaires like Lyssa Wilson Becho, Isaac D. Castillo, Amy Cesal, Kylie Hutchinson, David Keyes, Chris Lysy, David Napoli, Emma Perk, Echo Rivera, Sheila B. Robinson, Elissa Schloesser, Jon Schwabish, and Deven Wisner. Kylie Hutchinson literally wrote THE book on effective reporting, Jon Schwabish wrote THE book on better presentations, and Sheila B. Robinson wrote THE book on survey research. Each guest expert was selected for their strong analytical training and natural visual abilities. You learned a lot during your org’s in-person workshop! Now, prepare to soar to the next level with this online course. We’ll go broader and deeper. You’ll see more techniques, more examples, more before/after makeovers, more software how-tos, and more applications to reports, slideshows, dashboards, and infographics. You’ll also hear from 13 guest experts, who provide insights not provided in the live workshop. A typical webinar is 45 minutes long. This course is 20 hours long. I’m not a calculus wiz but that means you’re getting more than 20 times the tips, techniques, ideas, examples, makeovers, and resources than a webinar. I teach skills in a very intentional sequence: from analyzing your audience to choosing the right chart, to selecting a software program, to editing your graph. In other courses I’ve taken, the instructors have focused on “what NOT to do.” I’ve left those classes feeling afraid to try anything new. This course focuses on “what TO do” first, second, and third in an easy-to-replicate order. Enroll in the Silver Tier and you’ll get access to monthly office hours sessions where you can submit your drafts and get feedback from me and from your fellow students. Enroll in the Gold Tier and you’ll get an hour of one-on-one consulting time with me. We’ll share screens and work through your individual questions together. Together, we can tackle what it would take you all day to fiddle with on your own. Yes. If you’ve got the time to read books, subscribe to blogs, listen to podcasts, and take classes on your own, then go for it. This course is a shortcut. In 12 months, I’ll teach you what it took me a decade to learn on my own. This isn’t a software how-to course. It’s a software-agnostic best practices course. The vast majority of lessons focus on principles that can (and should) be applied to any software program. That being said, you’ll need to use some type of software program, so there are bonus lessons on using Excel AND Tableau AND R.